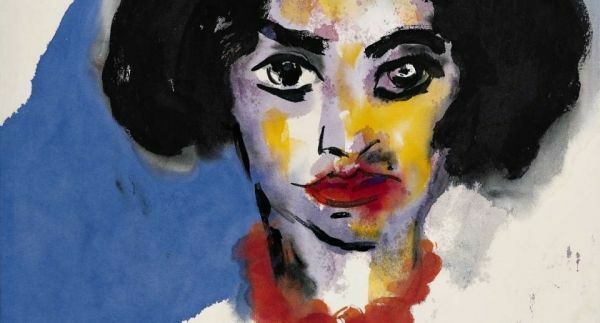 The Louisiana celebrates the work of German-Danish painter and printmaker Emil Nolde (1867-1956) with an exhibition described by organisers as the most comprehensive retrospective of the artist in several decades. Nolde was an important 20th-century painter, a founding member of the Expressionists, and more specifically a member of Die Brücke, the group of German expressionist artists formed in Dresden in 1905. Known for the expressive, luminous colours in his watercolours and oil paintings, Nolde concentrated on diverse subject matter including storm-scapes, floral scenes and portraits, as well as more sombre woodcuts. Although the artist had previously been a supporter of the National Socialists, in 1937 his work was condemned by the Nazis as 'degenerate art" and a total of 1,052 of his works were removed from museums and galleries, more than those of any other artist. Worse was to follow in 1941 when he was prohibited to paint, even in private. Despite this, Nolde risked everything and secretly painted a staggering 1,300 watercolours which he called his "unpainted pictures" and which he hid until 1945. After the war he received the German Order of Merit, the country's highest civilian decoration. The Louisiana charts his complex and multi-faceted career in this chronological exhibition staged in collaboration with the Städel Museum in Frankfurt and the Nolde Foundation in Seebüll.